Following the alternate ending with the Hulk, now another alternate scene from The Avengers: Infinity War is learned about with Thor vs what appears to be the Midgard Serpent. 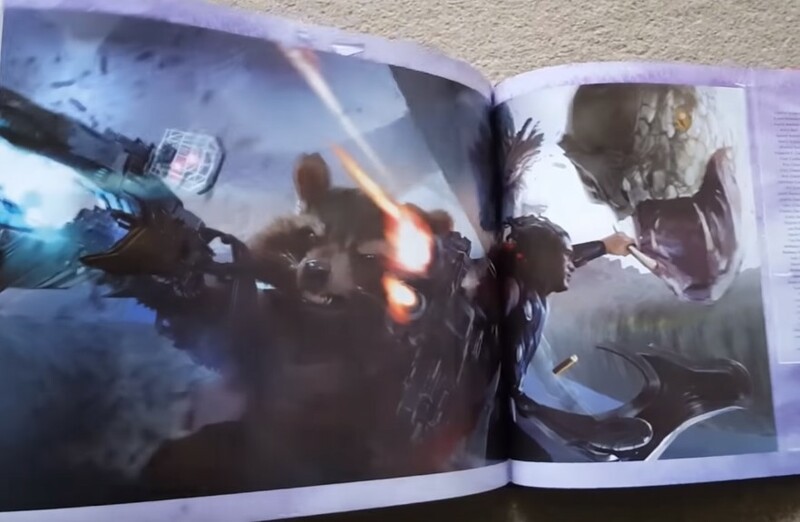 Concept art has landed online from The Avengers: Infinity War Art of the Movie book featuring Rocket Raccoon in action alongside Thor who is battling a huge serpent. In the comics, the Midgard Serpent is an enemy of Thor who appears during Ragnarok. It's unknown how the Midgard Serpent would have figured into The Avengers: Infinity War, but as the concept art appears to be taking place during the Battle of Wakanda, maybe Thanos summons the creature through use of the Infinity Stones to aid him in his battle against the Avengers? Or maybe it's possible that when Thor arrives on Earth, the Midgard Serpent followed him? Check out video below featuring more from The Avengers: Infinity War Art of the Movie book that a YouTube posted. You can buy the book on Amazon.